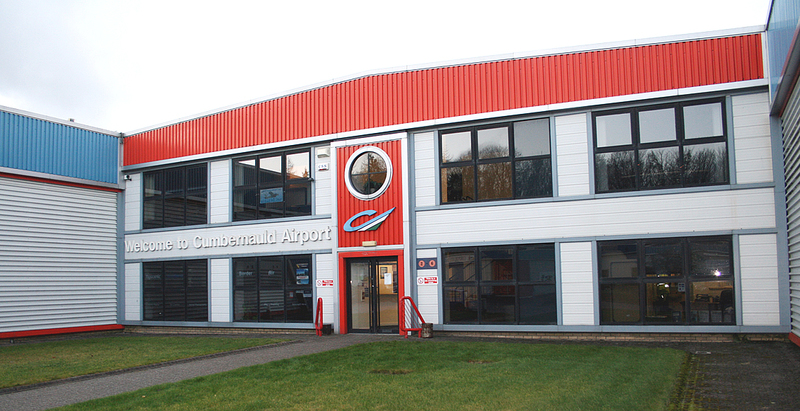 Cumbernauld Airport is a small busy general aviation airport located centrally, within easy reach for both Glasgow and Edinburgh. The Airport is open seven days a week and has a variety of aviation activity including flying lessons and private and business flying in fixed wing aircraft and helicopters. We wish all our customers a warm and hearty welcome to the Airport. During April, fly-in and eat from our newly re-opened café. All visiting aircraft will get a FREE LANDING if they are eating at the café, Tuesday-Sunday, landing between 13:00-14:00. The friendly tower staff look forward to welcoming back existing and new customers to the airport. Café now opened Tuesday-Sunday 10:00-16:00. We have an opportunity for Aviation/Non- Aviation businesses to rent office premises within Cumbernauld Airport, which is situated ideally in the Central Belt, between Glasgow and Edinburgh. Additionally we have parking available for light aircraft.